Original sound recordings owned by Media Records Ltd.
℗ 2001 Media Records Ltd.
© 2001 Media Records Ltd. 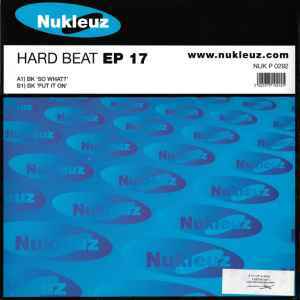 Almost the same as BK - Hard Beat EP 17, but track 2 is different. Track title on side A is listed as "So What?" on sleeve, and listed as "So Wot?" on the label.